Share your love story with your guests. Include photos to make it fun. Debut your wedding party. Show off each member of your bridal party with a photo and paragraph about how you met them. online RSVP feature to give your guests an easy way to let you know which events they are able to attend. 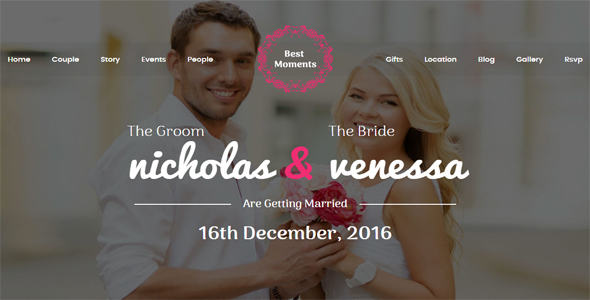 Provide travel information for your wedding, including links to location. All images are copyrighted to their respective owners. Images used in live preview are not included in the theme.